This section asks the user to look at the copyright notice on the work itself, then to compare it to the rules in effect at the time of publication. Copyright notice was required for copyright protection until the law was changed to make the copyright notice optional for works published March 1, 1989, and later. There aren’t provisions in the law for using an copyright incorrect symbol in place of the correct one (generally “©”). Courts have made allowances concerning the symbol, however. If the notice is dated earlier than date of publication, the expiration date of copyright is calculated using the earlier date. Post-dating by one year under normal circumstances does not pose a problem. A notice dated more than one year later than the date of first publication is treated as if there is no notice. If the notice lists no claimant whatsoever, it’s as if no copyright. Where rights have been transferred (by sale, inheritance or otherwise), the notice needn’t substitute the new owner for the old. If the work consists predominantly of Government work and doesn’t say so, it’s as if there is no notice. If the work contains U.S. Government material and lacks material added by the purveyors of the new work, the work is not eligible for copyright. With proper acknowledgment(s) and new material, the new work is entitled to copyright enforcement (provided that copyright requirements are met in other respects). The term of a work published under a pseudonym is the same as for a work copyrighted by a corporation, unless the actual identity of the author becomes disclosed “in records to be maintained by the Copyright Office for that purpose” provided also that the filing is by a “person having an interest in the copyright”. This must be filed “before the end of such term” obtained as a pseudonymous work. Dates in Roman numerals are legal for use in copyright notices. The following can help you convert Roman numerals. where a lower numeral is placed before a higher numeral, the first is subtracted from the second. * The most recent year in which “D” would be used is 1899 (MDCCCXCIX). The next year to use “D” will be 2400 (MMCD). Years which have “D” in the Roman numeral are not among those in which works are subject to uncertainty about the copyright status. Roman numerals are legal to use in place of the familiar, Arabic numerals. Refer to the tree-view chart to determine under what circumstances a particular form of copyright notice would be (and was) invalid. These illustrations provide examples of the faulty types of notices that (as reported in the chart) can (and do) result in copyright protection being forfeited. 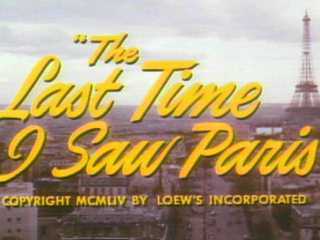 The M-G-M movie The Last Time I Saw Paris (1954) was released with a copyright notice giving the year as “MCMXLIV” (barely visible in the enlargement, above right). As that Roman numeral converts to 1944, that earlier year determined the start period for the initial 28-year copyright term. Thus, from the beginning, the error deprived the claimant of ten years protection at the end of the potential copyright period. The parent company of M-G-M failed to renew at the end of 18 years, so the movie entered the public domain. 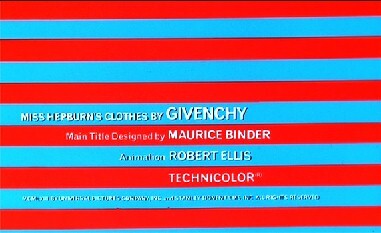 The coming-attractions trailer for the movie (above right) contains the Roman numeral for the correct year (The “X” was taken out). As the trailer was not registered for copyright, this is immaterial. See the table for converting Roman numerals, above. 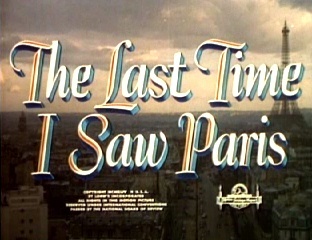 The Last Time I Saw Paris was deprived of some copyright time by its notice giving the year as earlier than it was. Mad Dog Morgan (1976) has the opposite situation: its notice gives a date 450 years later than the actual. (Had the Roman numeral date used an “L”  in place of “D” , the date would have been correct.) Under American law, such an advance date invalidates the whole notice. As this is an Australian film, American law does not apply except where allowed by Australian law. Click for passages of Australian law relevant to the year in the copyright notice for Mad Dog Morgan. “Where the year date is more than one year later than the year in which publication first occurred, the work is considered to have been published without any notice… . “OMISSION OF NAME OR DATE.—Where copies or phonorecords publicly distributed by authority of the copyright owner contain no name or no date that could reasonably be considered a part of the notice, the work is considered to have been published without any notice and is governed by the provisions of section 405.” §406(b) and (c); somewhat reworded 1989; the 1909 and 1947 Copyright Acts contained a provision similar to that of the 1976. 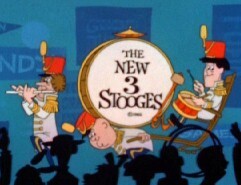 The copyright notice on The New 3 Stooges series does not list a claimant. Anyone offering unauthorized copies could contend that the copyright notice permits him to do so. A notice lacking this part is invalid, according to law. 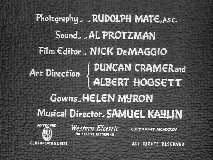 (above) Close-up view of the copyright notice, as seen in smaller type at above left. Ask yourself this: Can you say that the copyright notice above excludes you from claiming ownership of the work? No one is named who could say that you are not the owner. The opening and closing credits sequences of each episode of Fractured Flickers contain copyright notices that differ as to year and claimant. (The series was syndicated in its intial run, and continued to be syndicated in reruns thereafter, thus the series does not warrant the same claim of having been unpublished as would television programming that originated on a network and was not syndicated thereafter.) Copyright registration did not take place until 1988. The contradictory claims of 1961 and 1963 prove that one of the notices is erroneous. The fact that each notice is in the name of a different claimant also muddies the informativeness — and thus the validity — of the notice. In 1919, when Pathe copyrighted this Hal Roach production starring Harold Lloyd, motion picture photoplays were a separate classification (class “(l)”) in copyright law from photographs (class “(j)”) and dramatic compositions (class “(d)”), yet copyright notice form for motion pictures was governed by the generic rules for all works: “either of the word ‘Copyright’ or the abbreviation ‘Copr.’, accompanied by the name of the copyright proprietor”. Generic notice needn’t specify the year. The following year, the same company changed its policy. This is the notice for a 1920 Pathe release produced by Roach and starring Lloyd. The law hadn’t changed, but the moviemakers may have realized that they were affected by the passages stating that “if the work be a printed literary, musical, or dramatic work, the notice shall include also the year in which the copyright was secured by publication”. Films copies are called “prints” so the films may have faced challenged over the notices being inadequate for “printed … dramatic work”. By the 1960s, when Ozzie Nelson copyrighted the episodes of his television comedy The Adventures of Ozzie & Harriet, he was going against the grain of moviemakers (including television producers) who in their copyright notices included the three parts of the notice. Absence of the year invalidates any effort to enforce copyright in the dramatic aspects. 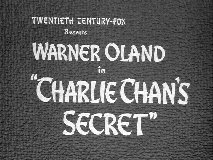 Even before motion pictures became eligible for copyright in 1912, the Biograph Company placed copyright notice on their films with the three elements of information. Production companies registered their works as photographs (class “(j)”) because there wasn’t yet classes (l) and (m) (for “motion picture photoplays” and “motion pictures other than photoplays,” respectively). Although the generic notice requirements and the requirements for photographs did not necessitate giving the year, Biograph was wise in incorporating it into the notice. Because motion pictures were not a classification in copyright law until August 1912, those productions which were copyrighted were not only registered in another classification, but had their deposit requirements fulfilled by means of copies of alternative form. 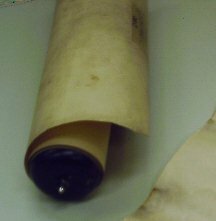 Biograph was among the companies to deposit what were called “paper prints.” These were full-length copies of the film that were printed on photographic paper (such as would be used for still pictures) rolled up. These could not be projected, and didn’t even have sprocket holes, so the Copyright Office was obtaining a unique edition. 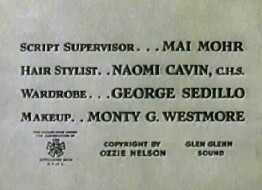 The title frame for Tomboy Bessie (above right), copied from a Copyright Office paper print, shows that on the paper print, the Biograph Company printed the title as black lettering atop a white background, although the film prints shown to audiences were done white-lettering-atop-black. Barely visible is purple ink where someone at the Copyright Office stamped “Copyright” on the frame to record that the deposit had been processed. The color of the lettering has no bearing on the validity of the copyright. 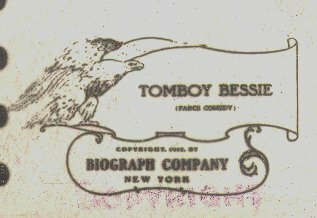 Paper prints were generally processed as positive (as opposed to negative) copies, and the reverse-grayscale of the Tomboy Bessie title frame is an exception to the rule; the portion of the film that tells the story of Tomboy Bessie in this particular paper print is a positive copy. The title frame for An Arcadian Maid shown above is also reproduced from a Copyright Office paper print, and its title too is reverse-grayscale on that print. I corrected the image to black-background format for this web site. If the answer to your query amounts to “the work is considered to have been published without any notice”, be sure to answer the questions on the next page, the illustration section on absence of notice. The Copyright law (section §302(c) in the 1976 Act, §23 in the 1909 Act, §24 in the 1947 Act) allows for works to be registered in the names of pseudonyms (for authors who prefer that their reputations be established under a name other than that which is their birth, married or legally-changed name) and as anonymous works (for authors who prefer that the such-designated works give no hint as to which other works are also written by the same author). The third illustration below shows a Copyright Office form that includes Yes/No checkboxes for claimants to designate whether the work the particular work being copyrighted is a pseudonymous or anonymous work of authorship. In 1946, when this registration was filed, the form did not yet have a preprinted box for designating that a pseudonym was used by an author, so in this case that information was typed in above the name. At the time of this filing, Ayn Rand had recently begun her rise to the enduring success she continues to enjoy today, so the fact her use of a pseudonym had yet to come to be general knowledge. The designation “Pseudonym:” followed by this name (the one that appear on the title page of all copies of the book) was typed above where the form allows for the name of the author. As author, the form gives her legal name, “Alice O’Connor” (her given name of “Alice” followed by her married surname of “O’Connor”). above: reverse side of the page in the first illustration. Where the form has a box reading “Place [Notary Seal] Here” (followed by the words “(Copyright Act makes use of official seal obligatory)”), please be apprised that the form as preserved in the Copyright Office has an impressed circular seal. The reduced size and lack of grayscale in this reproduction has rendered the seal unviewable on this web page. Primary Colors is a novel about a political campaign and was published in 1995. Quickly, speculation abounded that the “Anonymous” named as the author had been an insider on Bill Clinton’s successful campaign for the presidency in 1992. (The popularity of the book led to a movie version released 1998 starring John Travolta as a thinly-disguised Clinton.) News professional Joe Klein was eventually revealed to have been the author; an author who already had well-regarded writing credits, he continues to write about American politics (since 2003, he has been publishing a weekly column for Time magazine). above: reverse side of the page in the previous illustration. The Copyright law (§302(c) in the 1976 Act) provides that “person having an interest in the copyright in an anonymous or pseudonymous work may at any time record, in records to be maintained by the Copyright Office for that purpose, a statement identifying one or more authors of the work”. Doing so provides the author with the benefit of a potentially longer term of copyright — or the detriment of a shorter one. In the case of a work published under the 1976 Act and published within 25 years of creation, copyright on a pseudonymous or anonymous endures for 95 years from publication — as against a term of life plus 70 years for a work copyrighted in the true name of the author. Obviously, the wisest move is for the persons with interest to wait 25 years after publication to see if the author is still alive, and only then file a statement in the Copyright Office. (If the author dies in the first 25 years of the copyright, a life-plus-70 term will start counting down the last 70 while the 95-year term still has more than 70 years remaining.) As of June 2006, when this illustration was copied at the Library of Congress, the Copyright Office had not received an author-identifying statement about this particular book. Is it a copy or a phonorecord? So, just what makes a sound recording “visually perceptible”? From the words, one might think that the form of the copy can be merely looked at by a person familiar with music and that thereafter the melody and tune is discerned. If you think that, think again. The images on the left are piano rolls. 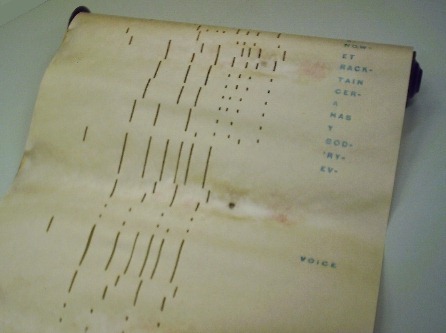 The cuts in the paper prompt the mechanisms inside a player piano to strike certain keys. 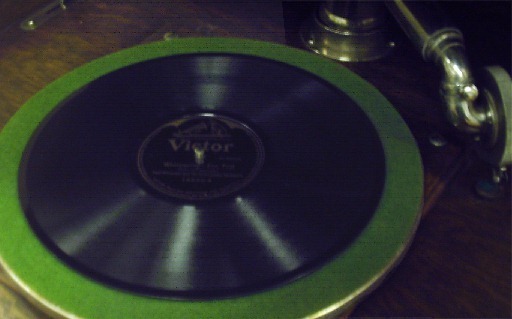 The image on the right is a phonograph record, the dominant medium for sound recordings until it was made obsolete by the compact disc — which reproduces sounds through the same general idea of “mountains and valleys” pressed into consecutive grooves. A person who tried very hard might learn to interpret the zigzag patterns within the grooves to report what sounds are on the recording. Nonetheless, the Copyright Office regarded the rolled-paper recording as “visually perceptible” but not the groove-encrusted disk. only concern aspects of these works relevant to Copyright Notice.